things that shine: Washi tape Wednesday: how do you store yours? 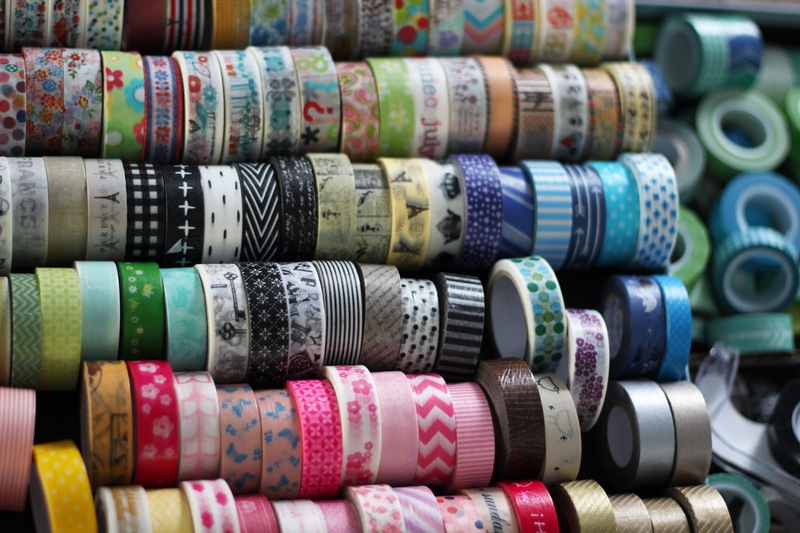 Washi tape Wednesday: how do you store yours? Do you keep them piled up high? Do you keep them in a jar? Do you keep them on a shelf? Do you keep them stuck to yourself? (Nursery rhyme and Dr Suess mash-up poem). Seriously, though. I do keep my washi tapes all in a row. I have shallow boxes (from Michael's) and I keep my tapes organized by colour, and some by pattern. I have four boxes and each one holds about 140 rolls of tape! Don't forget to check out my washi tape listings on Etsy! I am jealous. I think I have 5 rolls of washi. LOL. I need more! You don't even know how much I am laughing here.